FEATURES/SPECS You work hard and you play hard. 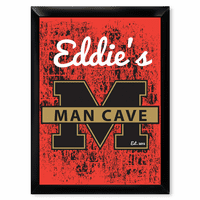 Your man cave should let the world know! 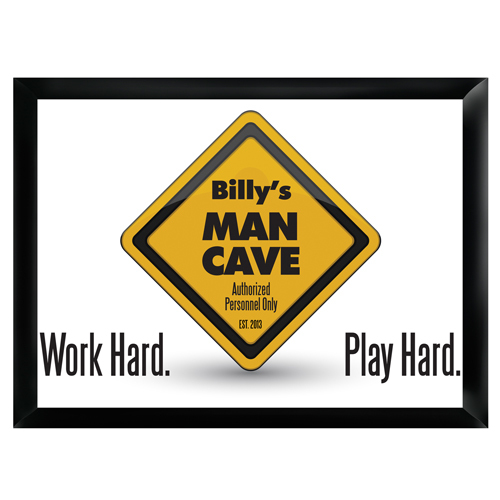 This sold wood personalized man cave sign comes painted with a bright yellow street sign that says this is your Man Cave and only authorized personnel are allowed! 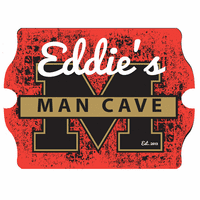 It lists you, or your gift recipient, as the owner of the man cave and give a year it was established. The finishing touch on this man cave wall sign are the words "Work Hard, Play Hard" printed boldly on either side of the street sign. 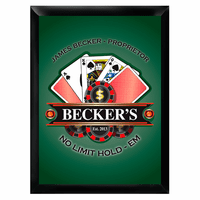 It comes ready to hang with all the hardware you'll need. 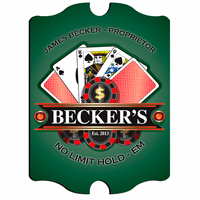 Comes painted with the words "Work Hard, Play Hard" and "Authorized Personnel Only"